In India’s Madhya Pradesh, a mysterious virus has killed 64 people in the last few months. Its symptoms mirror swine flu, but medication for that disease doesn’t treat those afflicted with this new illness. Most of the deaths have happened in or around the densely populated metropolis of Indore. Health officials told the Times of India that lab results from those infected have delivered confusing results, with many testing positive for swine flu or dengue fever. However, treatment for swine flu has had no effect on the afflicted, and no common virus has yet been found between the 223 samples. 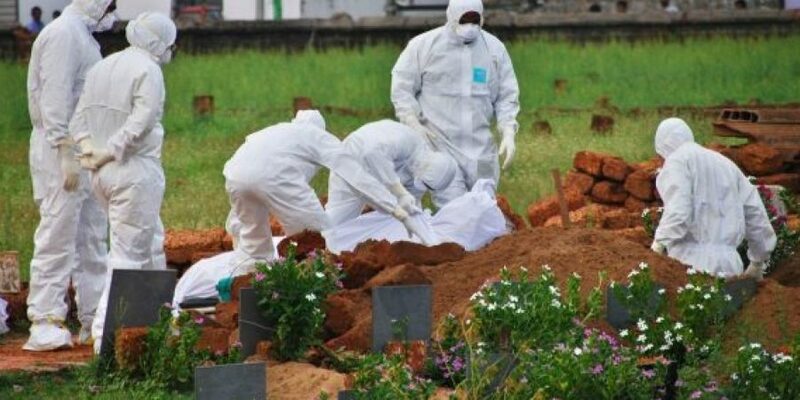 “Every year swine flu virus changes its genes, which are identified by the health department, and accordingly, antiviral medicines are updated,” Malakar said. “The weather fluctuation causes H1N1 virus to multiply. The virus causes swine flu,” Indian newspaper The Free Press Journal further noted. India had almost 15,000 reported cases and 1,103 deaths from influenza last year, India TV News noted. But it’s not just Madhya Pradesh that’s getting hit with the flu: far to the north, Himachal Pradesh and Rajasthan are likewise experiencing an outbreak. Former Himachal Pradesh Chief MInister Virbhadra Singh, of the Indian National Congress party, was recently hospitalized with H1N1, as was Bharatiya Janata Party chief Amit Shah. Swine flu has killed 75 in Rajasthan this year, and the state has registered over 1,900 cases of the disease in that time. Health Ministry officials have issued a health advisory to limit the spread of the virus, noting that doctors’ leave had been cancelled and hospitals had been asked to reserve beds for dealing with acute cases. The advisory further recommends that people cover their nose and mouth with a disposable tissue or handkerchief when coughing or sneezing, frequently wash their hands and avoid crowded places in order to limit the spread of any infectious illness, but especially influenza.